Here is the list of Third party plugin which is compatible with our Schema and Structure data plugin. 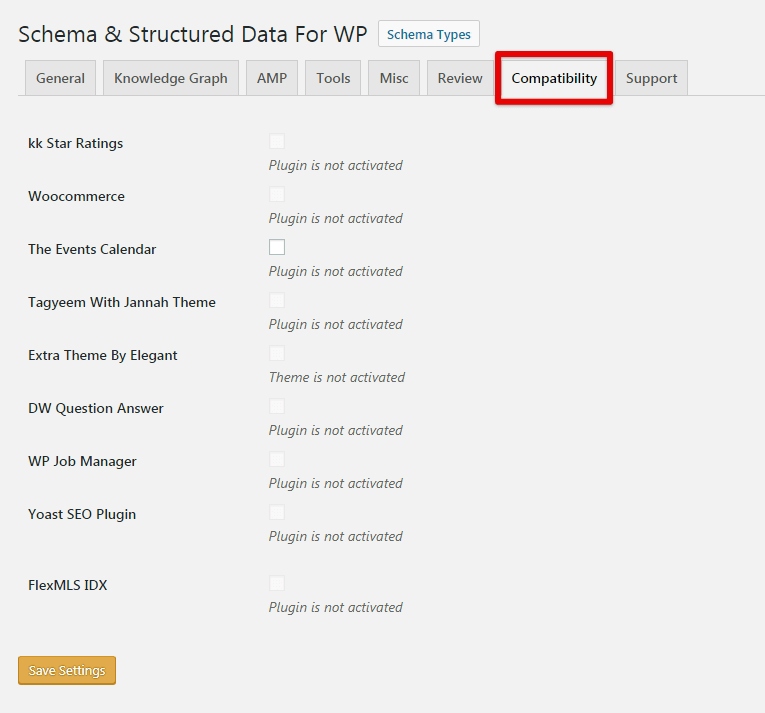 If you were using any one of this plugin and you want to enable the support on the Schema plugin then you just need to visit the compatibility section and check the box of the plugin and save it. If you have any feedback or questions or do you want us to create compatibility for any other schema type which isn’t listed in our plugin then you can request us we will surely implement it as soon as possible.